A great glimpse into of some the stimulating conversations among pharma innovation leaders this past week at the Health 2.0 Annual Fall Conference in Santa Clara, CA. These forward-thinking leaders in pharma are bullish (yet pragmatic) about the impact of value-based care on the industry and betting big on digital health through partner-not-build strategies that are starting to infuse a startup mentality into their traditionally risk-averse and slow-moving business models. Pharma companies are as excited as anyone about the shift to value-based care and the ways that technology can enable it, but they’re increasingly skeptical about the speed of that change. 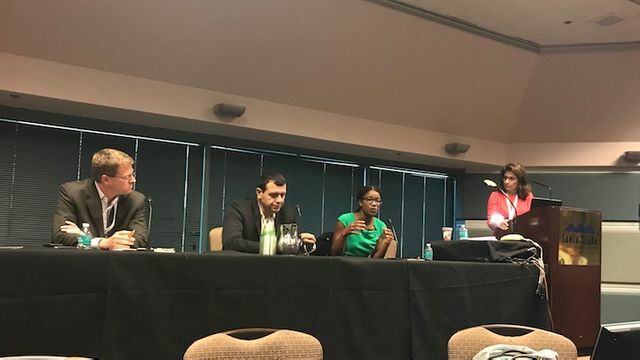 At Health 2.0 this week in Santa Clara, California, at a panel moderated by Kyan Beyzavi, principal investor at KBeyzavi and Associates, several innovation executives at pharmaceuticals talked about value-based care, as well as about their current digital health strategies and the challenges they face.